The company is engaged in manufacturing and providing highly operational Light Duty Caster Wheels range, this range finds its applications in various industries and buyers can customize these ranges according to their convenience. Their sizes, load capacities and fixtures can be customized here. 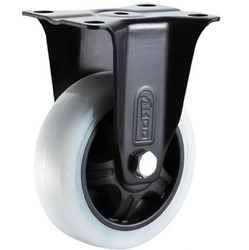 Wheel Size 2" to 4"
We manufacture Polypropylene (PP White) Caster Wheels which are used for light duty applications and are very suitable for multi-filed application on ground. These kind of bearings are especially used in auto parts, automatic moving car, and trolley. 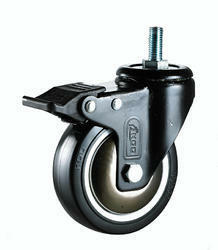 We manufacture Rubber Caster Wheels with single ball bearings which are used for light duty applications. These wheels are absolutely non-marking and hence they will protect all hard floor surfaces. 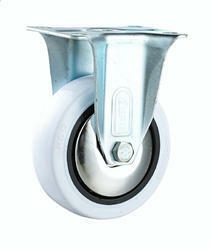 A special feature of this cater id that they adheres better than other wheels to slippery floors. 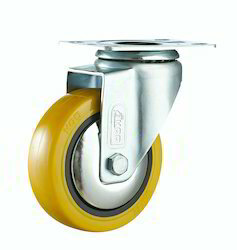 We fabricate best quality Polyurethane Caster Wheels with double ball bearing which are used for light duty applications. These casters are made with high performance non-marking polyurethane tires that are capable of speeds up to 8 MPH depending upon various applications. Avail from us sturdy range of Nylon Wheel with Delrin Bushes that are ideal for rudder supports & bearings and available in various sizes and colour. 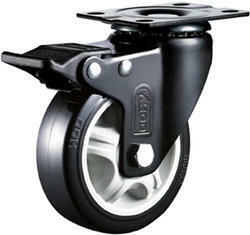 These bushes are specially fabricated as light duty caster wheels used in Hospital and Super Markets applications. We specialise in making and providing Light Duty Nylon Wheel with Delrin Bushes that are made of nylon and hence extremely useful for various light duty applications. 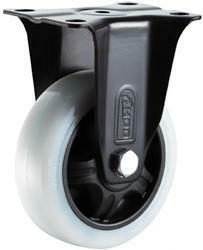 We manufacture nylon caster wheel with delrin bush which are used for light duty applications.